A free showing of Beautiful Boy at the Dance Palace Community & Cultural Center on Friday, April 5, 2019. 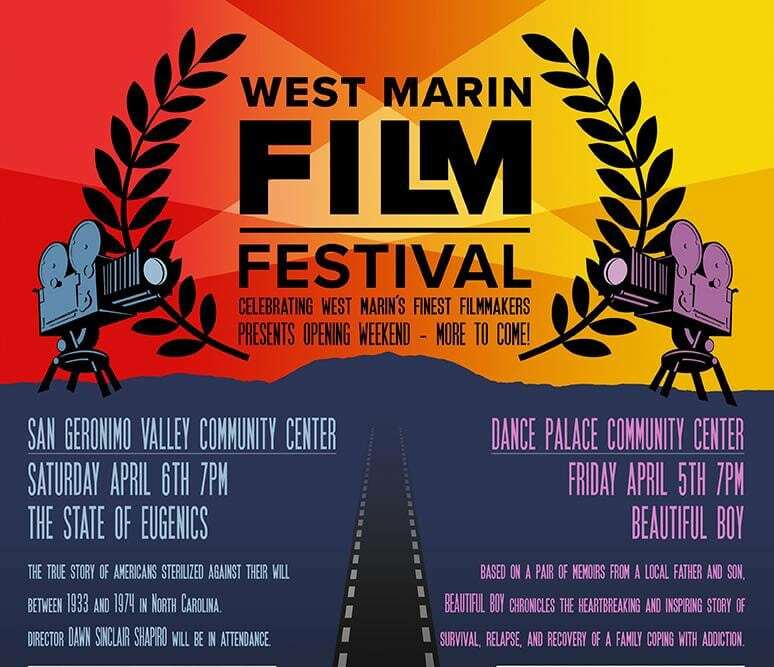 Appreciations to Beautiful Boy’s author and Inverness resident, David Sheff, for securing the rights to screen the first showing of the film in West Marin. Based on a pair of memoirs from a local father and son, Beautiful Boy chronicles the heartbreaking and inspiring experience of survival, relapse, and recovery in a family coping with addiction over many years. Teenager Nicolas Sheff seems to have it all with good grades and being an actor, artist, athlete and editor of the school newspaper. When Nic’s addiction to meth threatens to destroy him, his father does whatever he can to save his son and family.